Keep your community up to date and engaged, accessible straight from their smartphone! We have designed our app from the ground up, to work just like any other smartphone App! This makes use of the app second nature. With dozens of features built into the app, you will find a place to put all your information! Our custom designed administration portal will have all your app maintainance done in seconds! We strive to deliver an update to all our customers every term, giving you new features and improvements! Let your parents access all your details from within the app. Parents have access to phone and fax details, maps, GPS directions and email addresses. 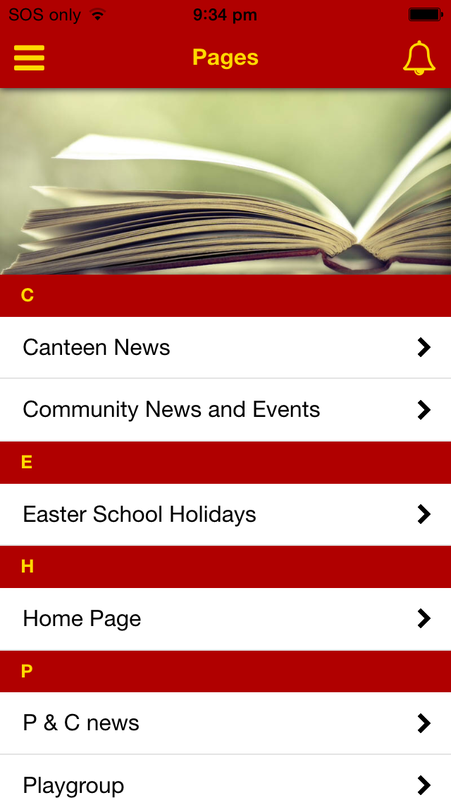 Add other links, such as one to your school website, links to online canteen and uniform ordering systems as well as any online payment portal your school may use. Create your own in-app pages, and add any content or attachments you would like. Your school app has a place for everything. Your app is created with your school colours, has your school logo, and is published in the app store in your schools name. We place no School App Solution branding in the app. 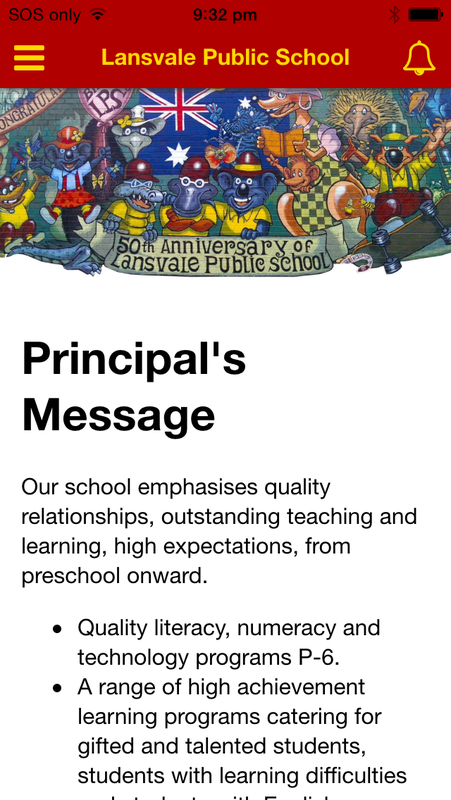 Small messages sent instantly to mobile phones running your school app. Parents are able to subscribe to a group within the app in order to only receive notifications that are relevant to them. Schools also have the ability to configure password protected groups, facilitating secure communication to staff. 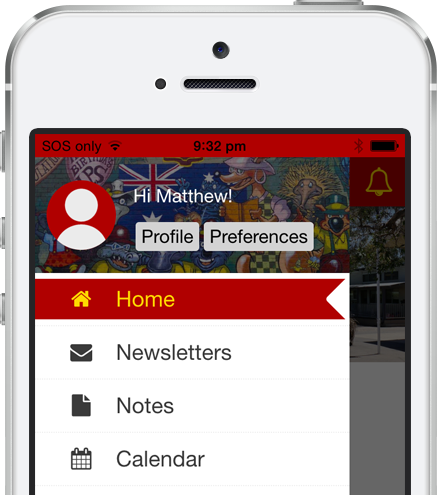 Keep all School Newsletters and Notes easily accessible at the touch of a button. Cut down on paper and printing costs. Parents can even re-print these documents if their device is configured correctly. Create an unlimited number of galleries to showcase everything that makes your school great. Community Photo Submission allows parents to send the school photos where they are placed in a review queue for processing by the school. These can then be added to a gallery or downloaded for school record. We provide simple integration options to make management a breeze. Automatically pull events from your DEC School Website Service calendar, and import from Sentral and iCal. Parents can even add events straight to their personal calendars. 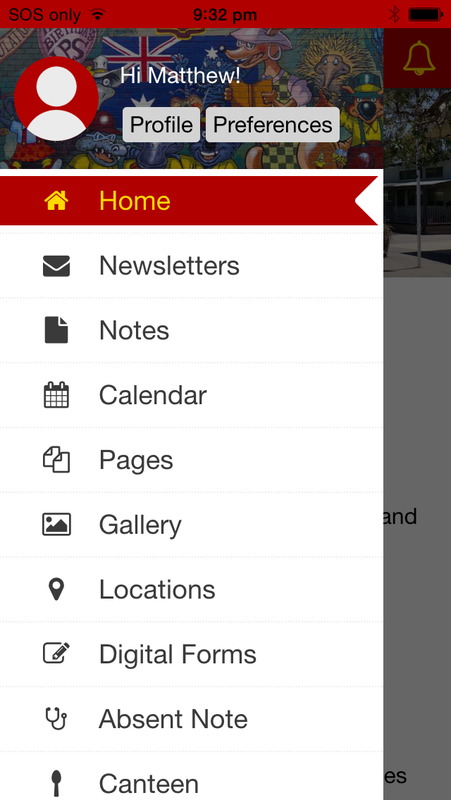 Display important locations to your school all in one place within the App. Parents can browse, get contact details, and even open up driving directions in Google Maps straight from the App. Parents can submit absent notes and change of details forms directly through the app, saving your office staff precious time. 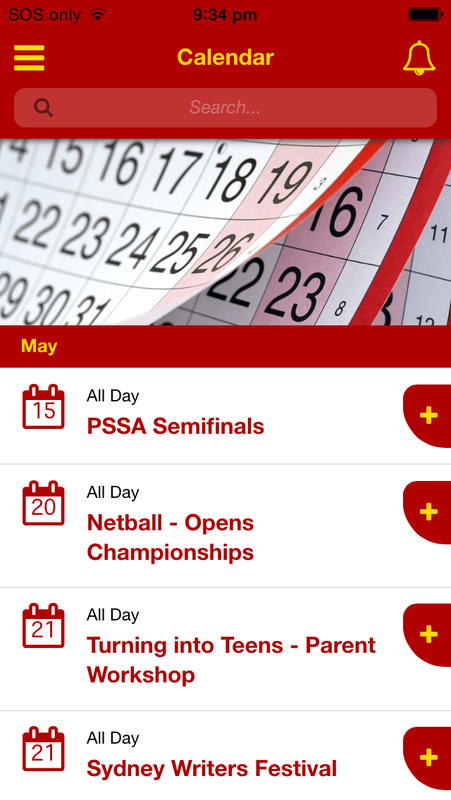 All forms are archived in the App portal. 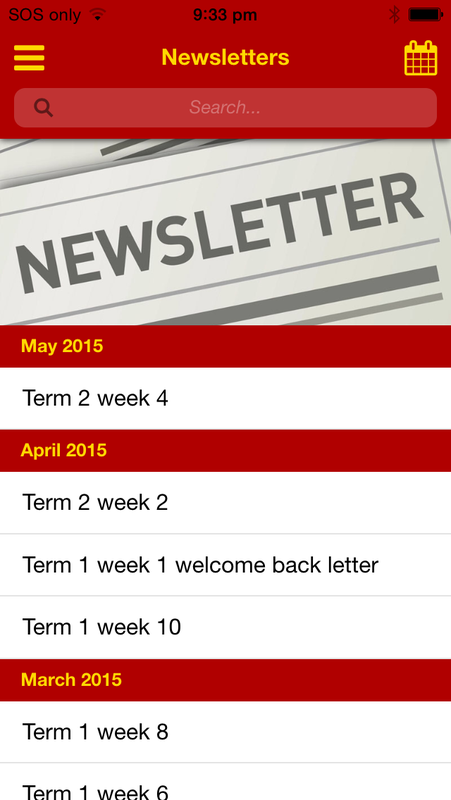 Forms are also emailed to the school email address to make management even easier. Check out all the features that make this app great! You can access the menu from anywhere in the App by pressing this button or swiping from left to right. Here you can view all the notifications sent by the school. Tap here or swipe from right to left to access this from anywhere in the App. Create custom home page content and update it any time from the App administration portal. Set up a custom slideshow to welcome users to both your school and App. Parents can set up their profile to make filling out in-app forms quicker and easier! 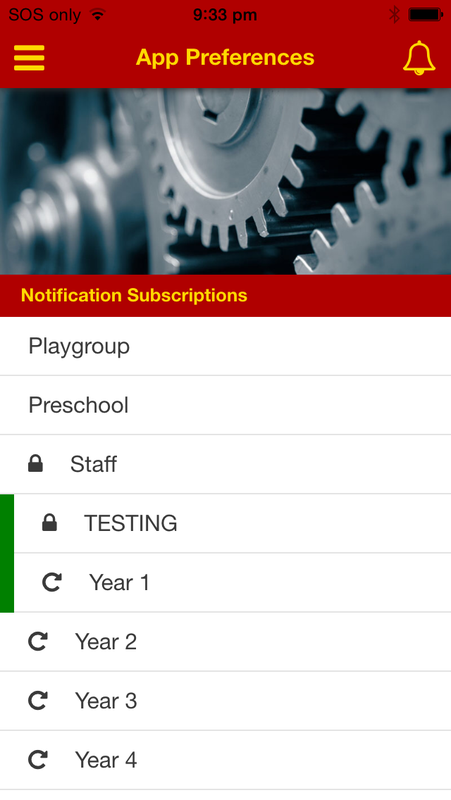 Parents can subscribe to specific notification groups, and change accessibility options such as font size here. Parents can search through past notifications to find anything they may have missed. 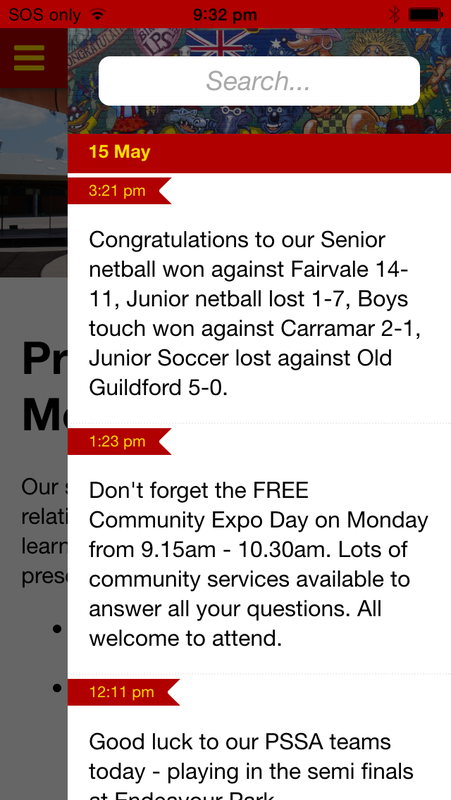 Parents can browse back through time to see past notifications sent by the school. Filter Newsletters by month to look for something you may have missed. All Newsletters are archived. Filter Notes by month to look for something you may have missed. All Notes are archived. Your calendar has many import options to make management a breeze! Automatic import from DEC School Website Service calendar as well as Google Calendar, iCal and Sentral manual imports. 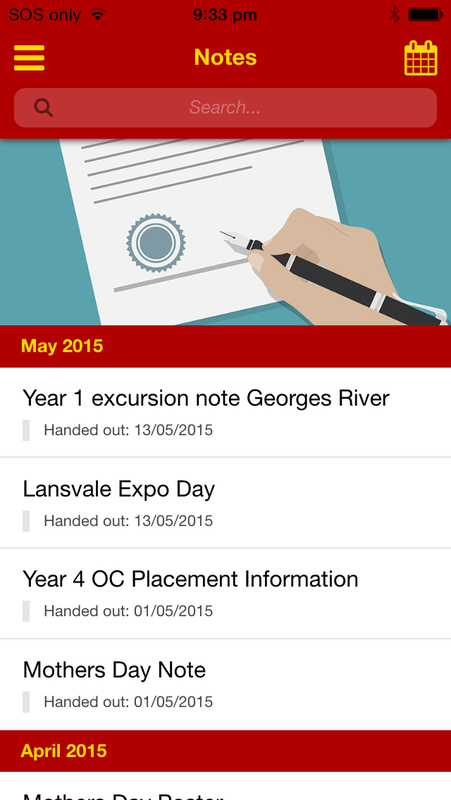 All absent notes are collated and archived within the app administration portal. 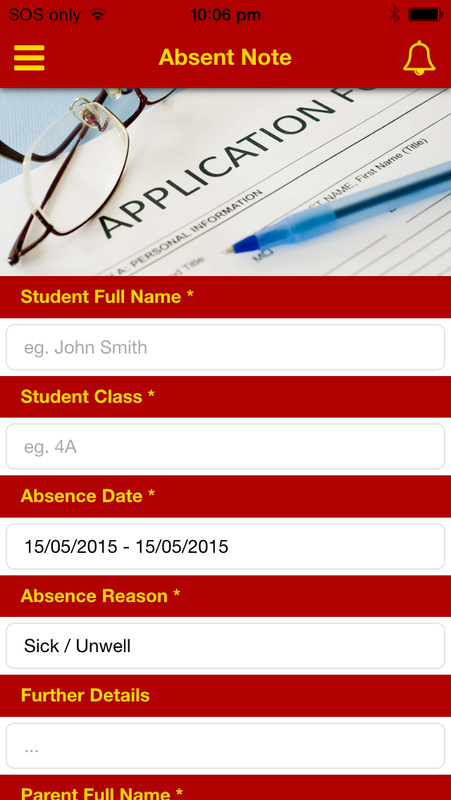 Absent notes are also emailed to your schools admin address for even easier access during those busy mornings. Parents can complete multi-day absences without sending in multiple notes. Parents can sign on their phone screen in order to provide further verification. Schools can choose to enforce this or leave it optional. Affordable communication for your School! * Maximum of 2 vouchers per school year. Only 1 voucher can be redeemed per annum. or send us an email using the form below! If you would like a call back, please leave your phone number in the message and we will call you back as soon as possible. Copyright © 2015 Synergy Web Design - All rights reserved.